Great news for aspiring singers who think they have what it takes to make it: ABC’s “American Idol” will kick off its 20+ city search for the next singing superstar at Walt Disney World Resort on Saturday, Aug. 25. The search for the next American Idol is on at Walt Disney World Resort. 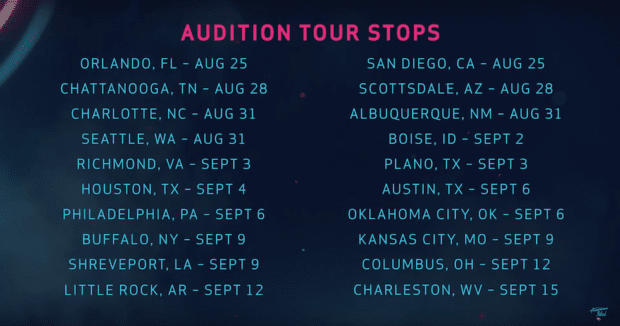 This season’s nationwide bus tour auditions will start at the ESPN Wide World of Sports Complex, and during auditions, ABC’s “American Idol” Season 1 winner Maddie Poppe, along with runner-up Caleb Lee Hutchinson and finalist Catie Turner will make special appearances. Early arrival to auditions is encouraged, and parking will be available as early as 4 a.m., but no earlier. Registration will begin at 7 a.m., and auditions will start at 9 a.m. Overnight camping will not be allowed, and the celebrity judges will not be on site. Be sure you bring plenty of sunscreen, a hat, and water to stay hydrated as you wait for your audition. If you’re the one auditioning, you are able to bring one guest along, though they must be over 5 years old. 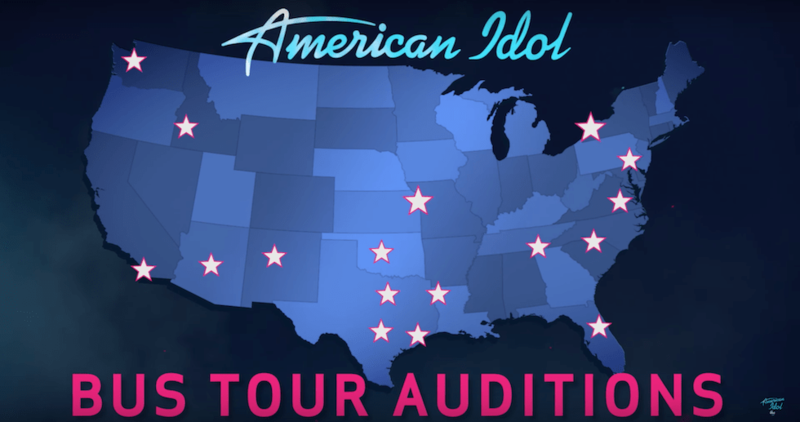 The full lineup of stops for the “American Idol” audition tour. Another “American Idol” bus will take up the search on Aug. 25 in San Diego, Calif., for a total of two buses on a nationwide quest for talent. All performers must be at least 15 years old to take part, and pre-registration is encouraged. To pre-register, and find additional details on the auditions, requirements, submission forms, and more, visit AmericanIdol.com/Auditions. For those who can’t appear in person, hopefuls can submit their audition videos online or through Instagram, Facebook, Twitter and Musical.ly using the hashtag #TheNextIdol.